With busy schedules, family obligations, and everything else that life sometimes throws your way, you may not be able to visit or care for your parents as much as you would like, but there’s one thing that will never change – you want the best for them and the rest of your family. As your loved ones enter a new and exciting stage in their lives, you can help them prepare for a life of senior living on their terms. Whether your parents or grandparents are fully independent or require a little extra assistance with their daily activities, today’s retirement communities are designed to promote a fun and exciting lifestyle. Bonaventure Senior Living is nothing like the typical “nursing home” you may have experienced in decades past. Instead, your loved ones will be cared for in a friendly environment that encourages socialization and physical activity, and tends to their emotional, physical and spiritual needs. Bonaventure Senior Living communities are all about living life on your terms. After all, the word “retirement” is so open-ended. 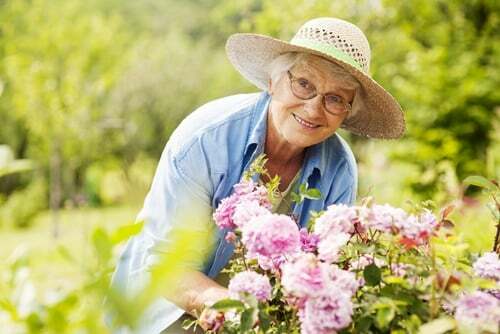 Many residents love the ability to do what they’ve always wanted now that all the chores and maintenance are taken care of for them, allowing for time to travel with a loved one, visit family more often, or even embarking on a new career path like turning a favorite hobby into a little extra income! When your elderly family members make the move into a senior living community, it also gives you peace of mind that as their needs change, the friendly and highly-trained professional staff in the community will be able to accommodate them in every way. You can be sure your loved ones are eating healthful and delicious meals, staying on track with their medication schedule, getting help with any daily activities and so much more. Full Service Retirement communities like Bonaventure also encourage friends and family to visit frequently and join in on all the fun activities and events, so you can spend time with your loved ones as a family rather than as caregivers. In many cases, downsizing from a large home to a spacious retirement living suite is also a great financial choice. Your parents won’t have to worry about paying a mortgage, homeowners’ insurance and property taxes, or tending to all the upkeep and maintenance such as mowing the lawn, taking out the garbage, cleaning the floors, etc. As all of us age, it’s important to stay active, both physically and mentally. This doesn’t mean that your parents or grandparents need to hop on a treadmill or run those dreaded laps we had to do in Phys. Ed. Instead, we encourage you to choose activities that you can do together, as a family. After all, exercise is much more fun when you’re doing it with someone else. Try dancing, tending to a garden, walking the dog or even swimming. Any physical activity counts! The benefits of exercise go way beyond trimming the waistline – being strong and fit will help your loved ones maintain their independence and even prevent or delay diseases like arthritis, diabetes or even dementia. Plus, staying active helps manage stress levels and give moods a boost! With the variety of activities and social opportunities at Bonaventure Senior Living communities, your parents or grandparents will always have a group of friends to hang out with and enjoy Retirement PerfectedTM!